If you want a traditional timber shaker kitchen style, then Austin is your perfect choice. 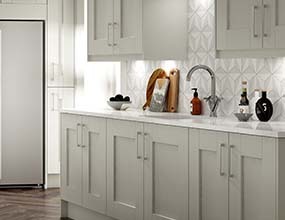 Inspired by the simple beauty of shaker design, it offers unadorned elegance to your kitchen. Shaker cabinets are a classic look and never seem to go out of fashion and offer timeless British style. 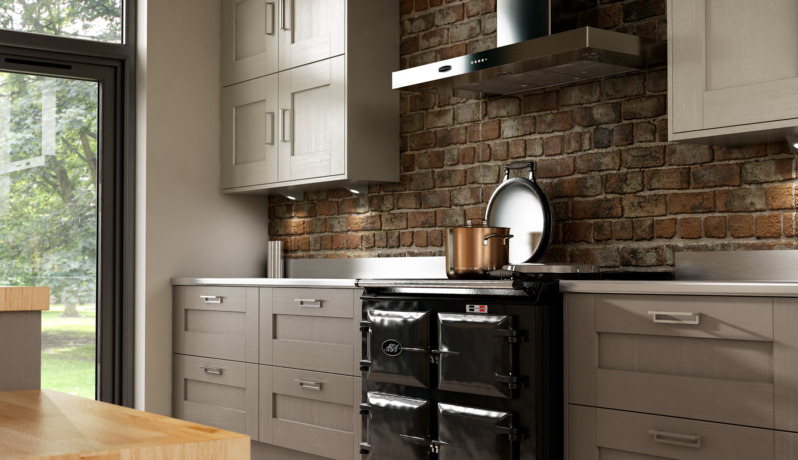 To achieve a timeless kitchen style choose the classic good looks of Austin; styles and features that will stand the test of time but can be easily be modernised with a few key accessories. For the ultimate in timeless country kitchens choose timber drawer boxes to compliment the natural beauty of this kitchen style. 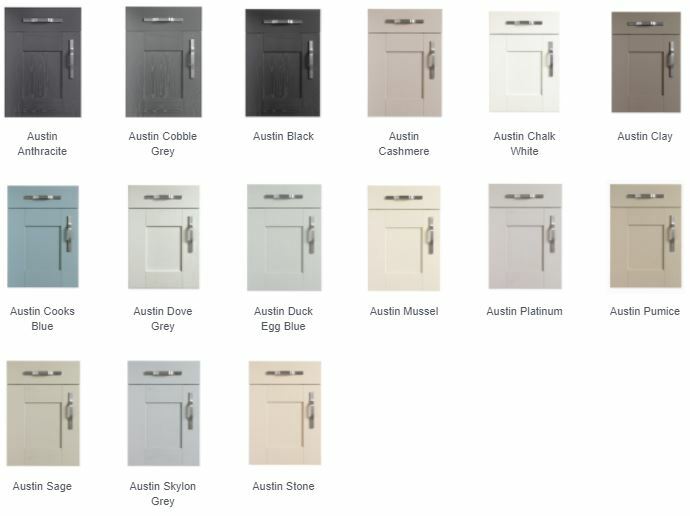 All our kitchens are painted in the UK and Austin is available in a variety of on-trend colours. 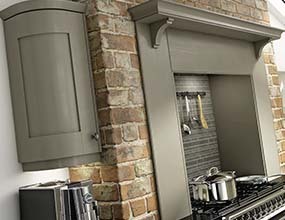 The beautiful tones of cashmere or dove grey are perfect for infusing subtle hints of colour throughout your kitchen style. If you are looking for something with more of an immediate impact, choose black or cooks blue and mix with ivory for an up to date and modern style.